We are entering a exciting new age with CCTV security surveillance systems for the reason that HD quality IP video hardware has become comparable in price to the old SD analogue gear whilst vastly outperforming them in every way. Whether serving as a visual deterrent to crime or giving managers and security professionals the tools they need for dealing with access control, shrinkage, safety issues and liability claims, a CCTV or video surveillance system offers a most practical and cost-effective solution. Why Us for Security Camera Systems? 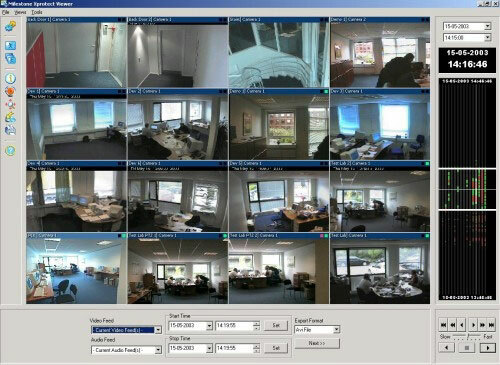 When you're looking for video surveillance systems, we've got the CCTV experts to deliver you a high quality, fully backed product. You will get the best equipment match for your requirements installed using best practice methods. We are Ministry Justice approved and Licensed Electricians so your insurer will be happy too. If you're interested in Security Camera Video Systems, we want to hear from you. For an obligation free chat, simply give us a call on 0508 22 88 66 or Contact Us by email and we'll be in touch fast.